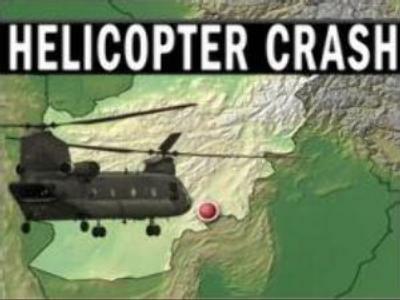 Eight U.S. soldiers have been killed and 14 others wounded as a U.S.-led coalition helicopter crashed in southeastern Afghanistan. It was reported the CH-47 Chinook helicopter went down following engine failure in the Shajuiy district. U.S. military officials said in a statement it crashed after a "sudden, unexplained loss of power and control''. The Taliban claim they are responsible while army representatives denied an enemy action was involved and blame bad weather.